2. 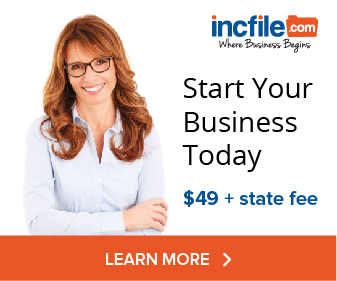 You’re not going to do it yourself–filling out government forms gives you hives.The only option left is to choose an online incorporation company to form your LLC for you. The only problem is that there are hundreds of online incorporation companies ready to sell you a dizzying array of services and a confusing pricing structure. Probably the biggest factor in determining the cost of forming an LLC are all the add-ons offered. In the marketing world these are called “upsells”. Understand that your plain-vanilla LLC formation is relatively simple. 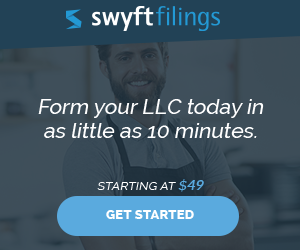 The company pays someone (or more likely has software auto-populate the form) to fill out an Articles of Organization form from the state where you’re forming your LLC. Then they mail that form with a check to the Secretary of State. Some time later, usually a few days or weeks at most, you have a legal LLC. There’s only so much that a company can charge for simple paper-shuffling of that kind. So the real profit for online incorporation companies are the add-ons. The only question is which services do you really need, and which can you live without. 1. Registered agent service, if you incorporated in a different state than you live in. This one is clear cut. If you don’t have a physical address in the state you’re forming your LLC in, then you don’t have a legal LLC. Example: if you form a Nevada LLC, then you need to live or have your business in Nevada with a physical address for the government to send tax returns and serve legal process on you. If you don’t live or work there, then you need to hire a company with a physical presence in (for this example) Nevada. 2. A Corporate Veil Guarantee. This is insurance against your corporate veil being pierced. This package is standard with any LLC you form with the Company Corporation. If your company is sued and you’re held personally liable because your corporate veil is pierced, they’ll reimburse legal defense fees up to $50,000. 1. Corporate kits and binders. These are attractive binders to hold your filed Articles of Organization certificate in. It’ll look nice on your shelf. If a fancy binder is worth $25 or $50 or whatever they’re charging you, then go ahead and get it. Or you can just buy a $1 binder at Office Depot. It’ll hold paper just as well. 2. Embosser for your corporate seal. These look really cool. In college I started a non-profit magazine with some friends and we incorporated it as a 501(c)(3) company. We got the whole package with the embosser. We had absolutely no legal use for the embosser. Mainly people would play with it when working on an article-embossing everything from waste paper to old magazine covers. You’re going to need an EIN-also known as an Employer Identification Number. An EIN is an identifier from the federal government that is essentially like a social security number for your company. You’ll need it to open bank accounts and apply for credit. As the name implies, you’ll also need it if you ever hire employees. But even if you are running a single member LLC with no intention of hiring employees, you’re still going to need an EIN. The reason why this is under the “consider getting” category is that you can obtain an EIN yourself at no cost. It’s not too difficult. Just fill out one form, called an SS-4, and phone it in to the IRS. They’ll give you your number right on the phone or by return fax. I’ve done it and it’s actually quite painless-I’d say almost pleasant, but we are talking about a call to the IRS. If you absolutely need to be incorporated now, then I suppose it’s worth it. Why are you in such a rush? If you’re trying to move assets from a creditor or ex-spouse (or soon to be ex-spouse), then let me tell you in my non-legal opinion, that it will probably not work. If you’ve simply procrastinated, then that’s the price you pay. If you need to be incorporated ASAP because you’re about to sign a contract on the company’s behalf, then again, it might be worth it.